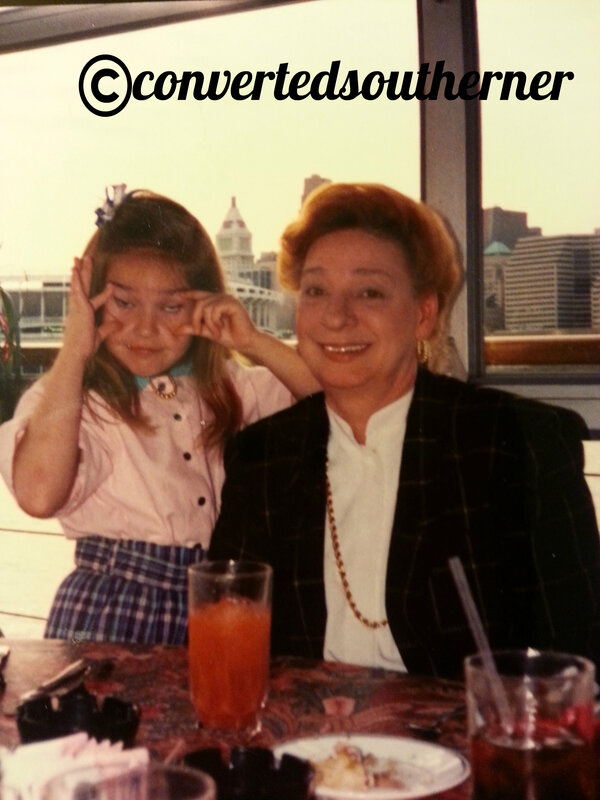 Me and my Grandma Callie at my 8th birthday dinner at Crockett’s on the River in Newport. My 8th birthday. April 1989 with my Grandmother. I clearly was a punk at age 8. What was up with these facial expressions? And how about the awesome late 80s outfit I am rocking? Things I associate with my Grandma- red hair, a bloody mary and plenty of cigarettes. And how much she loved me. Miss her so much. Oh, to be 8 again.